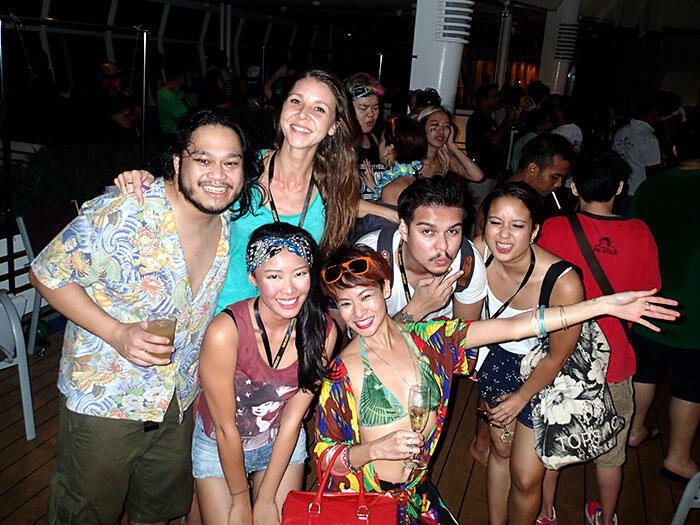 I still remember It’s The Ship‘s maiden voyage last year being the best festival in Asia i’d ever attended. Everyone had major SWS (Ship Withdrawal Symptoms) after, which I wrote a blogpost about. It’s The Ship is BACK this year and has just released their full lineup! Asia’s largest festival at sea is set to sail for 4 days – from Singapore to the tropical paradise island of Langkawi, Malaysia, before returning to Singapore – on board the Royal Caribbean International’s “Mariner of The Seas”, one of the largest and most luxurious cruise liners in the world. Expect to be spoilt with the Royal Caribbean’s famed 5-star service and their endless activities like a rock climbing wall, ice skating rink, mini golf course, basketball court, in-line skating tracks, 15 bars, clubs and lounges, their revitalised Vegas-style casino, and even a shopping promenade! 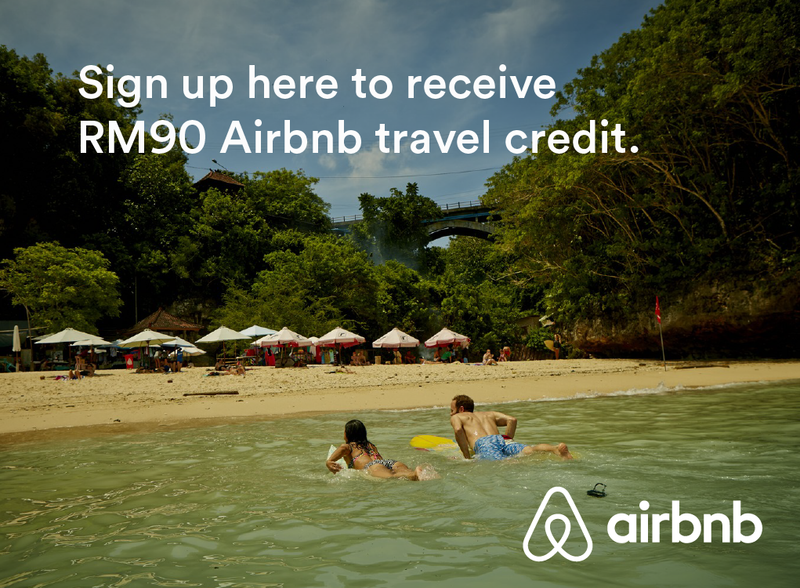 Play and party all day – you won’t and CAN’T feel an ounce of boredom on board. 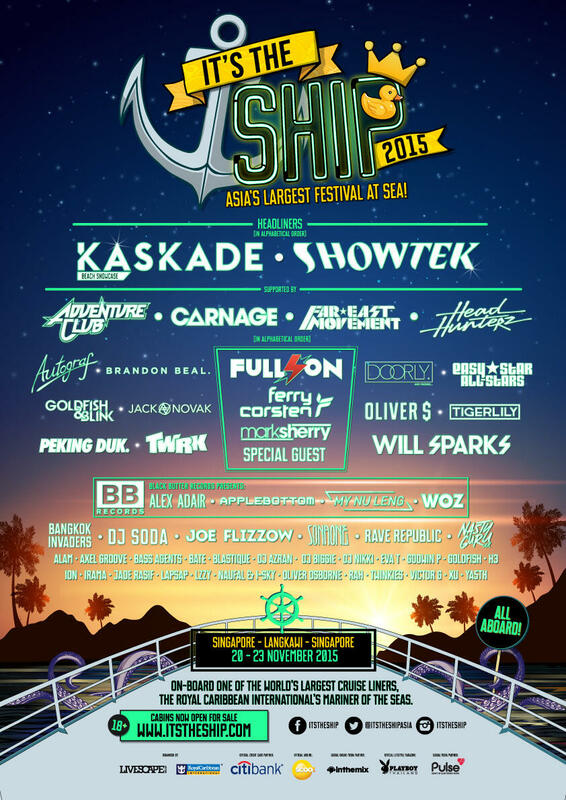 Are you ready to set sail with international artists like Kaskade, Showtek, Adventure Club, Far East Movement, Carnage, and Head Hunterz!?! Lots of the rooms have already been sold out so you better get your roomie and book it fast!